This past summer, while we were all at Camp participating in activities, experiencing special events and building friendships, we thought we were just having fun. We were in the moment. We were present. We were unplugged from technology – there were no selfies or filters. It was real, face-to-face connections and we were making memories. Memories matter. They tell us our history, give value to who we are today and influence who we will be in the future. I encourage you to capture as many as you can, however you can, and treasure them. Have you ever accidentally stumbled upon old diaries, photo books and albums or a shoebox of photos, and hours later, you emerge from an almost trance-like state from having been swept back in time and maybe to another place? I suppose the more current version of that experience is to scroll through your phone or computer at the digital images which chronicle your experiences. Either way, familiar faces and places draw you into the depths of your memory, leaving you with a feeling of nostalgia and at times, even longing. Then something snaps you out of it and you throw yourself back into the hustle and bustle of the present. Yet, as you go about your day, you notice a lighter step, a calmness to your mood or maybe even a sense of confidence. Why is that? Maybe because memory is not simply a tool that allows us to store and recall information. Our memories can be a journey into past experiences which can conjure up many different emotions — feelings of joy and gratitude, appreciation, or even sadness and frustration. Our memories are a reminder of our blessings, those people we cherish and value, our challenges and our victories. When we take a walk down “memory lane” to reminiscence, it adds value to our present lives. Our memories are precious and irreplaceable. They are gateways to accessing our history and help to define who we are today. Memories can remind us of happy times and lift our moods. They can keep us company. They can show us that in overcoming challenges and hardships, we are strong and resilient. Memories from summers at camp are unique. We all create and hold on to our own personal memories of each of the 51 days of camp every summer, but we are also lucky enough to have so many of those moments captured for us. We can simply click through the summer photos and videos and be transported back to CEL– if even just for a moment. It’s true what they say, “a picture is worth a thousand words.” I remember, after my first summer, attempting to explain what my experience at CEL was like to family and friends. They nodded politely and smiled, but I knew there were no words to truly explain what had happened in the span of those 2 short months. 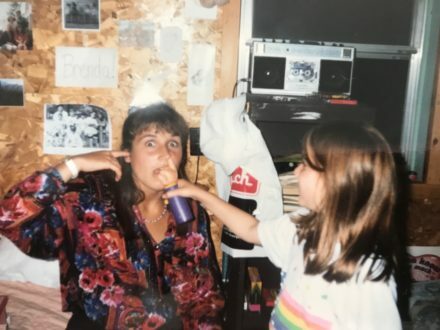 In 1992 there was no summer website for me to share with them, but I had my own printed photos to help tell the story – to help show the memories I had created. Taken at the right moment, one photograph can visually tell an entire story. Photos are moments frozen in time that help us to remember the details of the past — and even help tell the story to others. Now, family and friends are lucky enough to share in the memories we are making each summer at CEL. When they click through the summer website to see photos or watch videos, they sense the joy and positive energy. The see all of you running, laughing, hugging, eating s’mores and simply being in the moment. They see everything from the excitement and thrill of arrival day to the tears of departure day…and everything in between. Many times, we aren’t even aware that the moment has been captured! When I click through those same photos and videos of summers gone by, I am taking a return ticket to countless wonderful moments. In an instant, I can hear the crackling of the campfire and smell the roasted ‘shmallows (golden brown, of course). 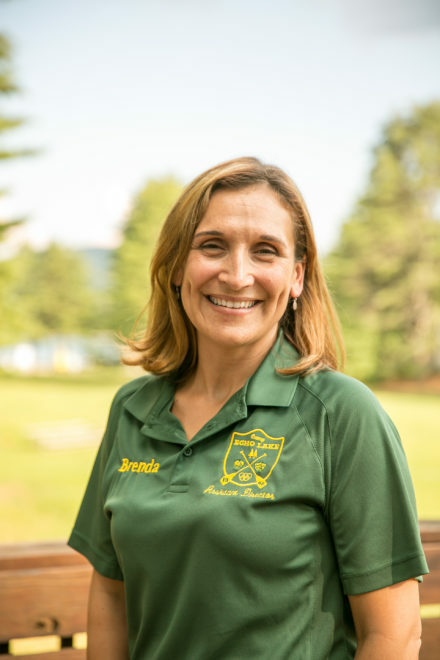 I can be immersed in the sounds of the alma mater being sung by our entire camp community and I can feel the chill in the air of an August evening. With one glance at an image, I feel like I am in the Grove, hearing a cacophony of chatter and laughter, feeling the pine trees towering above me and smelling hamburgers being prepared for cookout. 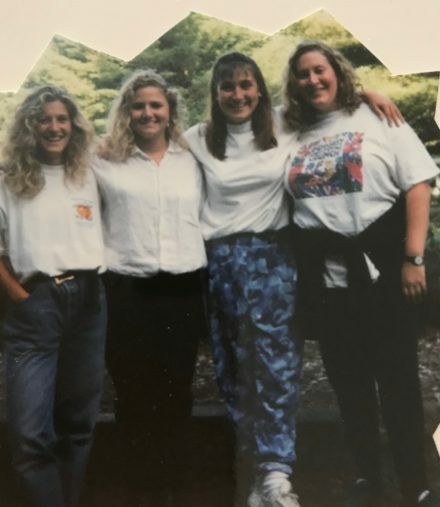 When I pull out a box of old photos dating back to the 90s, I am able to remember moments of getting to know Laurie when she was a CIT and I was a Cabin Specialist. I am able to relive being painted as a zebra for Lion King day with my campers. I can even be transported back to antics with my campers during rest hour. I have a million of these little moments and memories, which individually are just that – a memory in isolation. Woven together, they show my story and history at Echo Lake. When I replay them – either in my mind or by looking at photos and videos – I am always reminded of just how blessed I am to have created these memories, to have met and been impacted by so many people. These memories can sometimes make me laugh and sometimes make me cry, but they always allow me access to countless incredible moments and leave me with an overwhelming feeling of gratitude. Each moment has played a part in shaping who I am and helping to guide me along the way to where I am going. Today I hope you take a moment to remember what it is about your summers at Camp that you love. At Camp we collect memories, not things. We connect by disconnecting from technology. We live by the words “ Be Nice.Try Hard.” We experience moments that can’t be put into words, but are captured in images that can transport us back there any time we like. We can’t be at Camp all year long, but we can practice those Camp values no matter where we are. I encourage you to stroll down memory lane – often. Having a rough day? Get lost in a video from last summer— listen for the sounds of the fire crackling and the laughter of your friends. Scroll through photos from any of your summers at Camp. This may even trigger some of your other senses, and you’ll swear that you can smell ‘shmallows roasting and taste the sweetness of a popsicle at snack. 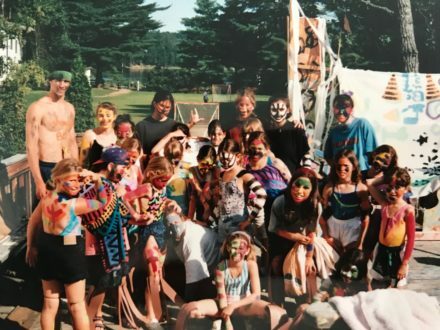 The beauty of Camp memories – especially those captured in an image – is that we were to lucky enough create them in the first place and equally lucky to relive those marvelous moments over and over again whenever we like! Enjoy getting lost every now and then as you stroll down memory lane!